The company was founded by Paul Underhill. Paul has cystic fibrosis and as a result, needs to consume very nutrient dense foods. Before founding Rumble, he realized there were no convenient natural drinks on the market that contained a balance of whole food ingredients. He then partnered up with naturopathic doctor, Dr. Kim McQueen (YAY FOR NATUROPATHIC DOCTORS!!! ), to formulate his ideal supershake. They took Rumble to Dragons Den and it has since taken off! Rumble is essentially the WAY healthier, whole food version of a meal replacement drink such as something like Ensure or Boost. Have you ever seen the ingredients in those though?? Seriously, not very clean or healthy for that matter. 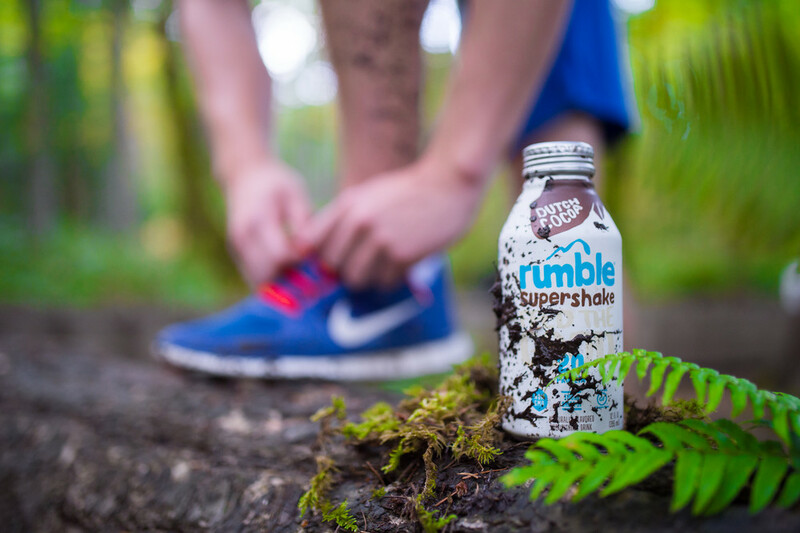 Rumble comes in two delicious flavours: Dutch Cocoa and Vanilla Maple. To be honest, I really can't decide which flavour I like best. I tend to alternate between the two as I love them both. If you wish to learn more about Rumble, check out their website here and watch the videos I have linked below! Now for the best part! Rumble has been kind enough to participate in a giveaway for you guys! The giveaway runs from Sunday April 26th at 5pm to Sunday May 3rd at 5pm. To win, you must follow both myself and rumble on instagram, you can then earn bonus entries for following us on our other accounts (see below). The winner will win a 12 pack of Rumble (6 Vanilla Maple and 6 Dutch Cocoa). This will be shipped to you after the contest closes! I will be announcing the winner on my instagram account Sunday May 3rd after 5pm. Have you tried Rumble before? Which flavour do you prefer, Vanilla Maple or Dutch Cocoa? Let me know in the comments below! !